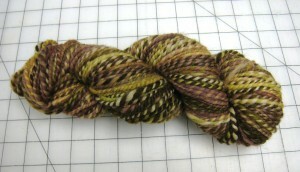 A while back I made a comment on a friends blog that I liked the yarn she was spinning. She offered to let it come and live at my house and now it’s arrived! We made a swap and I’m excited. 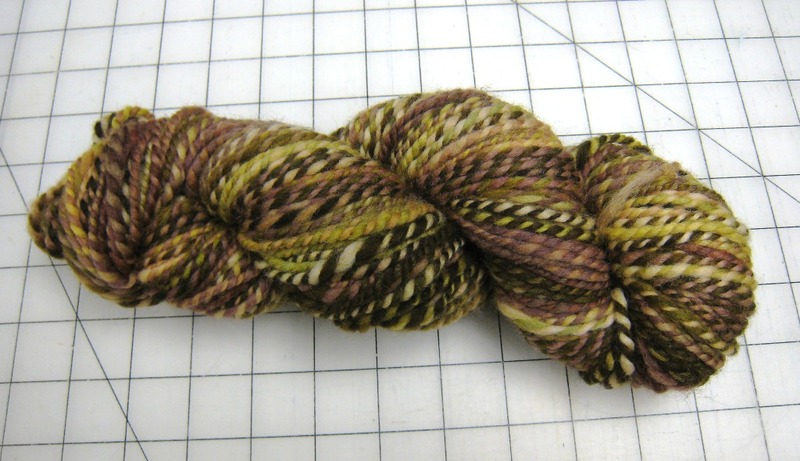 This is beautiful yarn and I’m still stroking and admiring all of its loveliness. I have a couple of projects in mind but not entirely certain what the final project will be. I really have zero skills in the yarn fiber department. Yes, I have done my share of crocheted granny squares and ponchos and have several failed knitting attempts, like the sweater with the monkey arms.. and two different size monkey arms at that! While I’m thinking long and hard, I just keep moving this skein around and dreaming about all the things it could become.